The author of A Word for Love on Syria, how we reveal ourselves through language, and love as a place of tension. Emily Robbins may not have become the writer she is had she not lived for a time in Syria. She stayed with host families on a Fulbright Fellowship, and one of her host fathers was a writer—the first professional writer whom she got to know well. Just before her arrival, he’d lost his job for criticizing the Syrian government. The gravity of the fact was not lost on her—it taught her that words hold power and that writing can have consequences. Robbins lived in Syria between 2007 and 2008, approximately three years before the beginning of the first anti-regime uprising that would eventually lead to civil war. Her deeply affecting debut novel, A Word for Love (Riverhead Books), takes place in Syria at roughly the same time. Its lead protagonist, Bea, is an American exchange student who has travelled to the country to read The Astonishing Text, an ancient manuscript said to contain a love story so stirring it brings its readers to tears. But the text remains elusive, so she spends her days practicing Arabic and becoming increasingly entwined in the lives of her host family. The father becomes more involved in rebellious activities, while Nisrine, the family’s maid, falls in love with a Syrian policeman—a circumstance that leads to violent confrontations. As Bea watches Nisrine’s clandestine relationship grow, she learns how different languages can both close and create cultural gaps while at the same time reveal new facets of love she never knew existed. Here, Syria is more than a war-torn nation—it’s a site of longing, love, and intellectual rigor. Robbins’s fascination with linguistics (she speaks at least three languages and has worked as a translator) further permeates this story. The roots of Arabic words, Bea teaches us, add layers of meaning to each utterance in the language. And as she listens to Nisrine speak about her family, Bea hears subtle shifts in conjunctions that lend crucial insight into the maid’s psychology. I went into this interview with thinking that we’d discuss primarily A Word for Love, but soon it became clear that Robbins’s affinity for language was just as thought-provoking. Amy Brady: With conflicts in Syria growing even more violent and fractious and the refugee crisis becoming even more critical, A Word for Love feels extremely timely. What drew you to this setting and why did you choose to set the novel at the onset of war instead of in its midst? 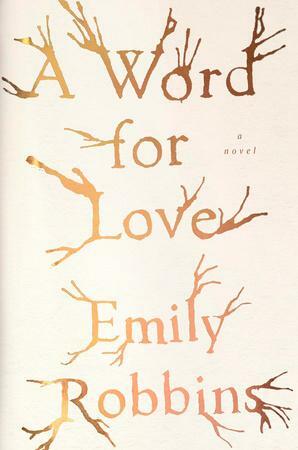 Emily Robbins: I started writing A Word for Love before the war began. When the first protests broke out, I was six months into the novel and felt utterly inspired by the bravery of the men and women who were standing up to their government. I wanted to share these feelings with those around me, but I lived far away in St. Louis, and so writing became a way for me to return in my mind to Syria, a place that I loved and that was quickly changing. It became something I turned to in hopeful and then difficult times. As this war wages on, I think it is easy to see Syria only for its violence. But, Syrians and foreigners who have lived there can tell you it is so much more than that. I think we need art and literature that is set in Syria before the war even more now, to remind us of the country’s rich history and beauty, and the bravery of its people; to remind us of what is at stake, that if we lose Syria we risk losing all this. Given the current war in Syria, I admit that I was surprised to discover that A Word for Love is much more about love than violence. What led you to this focus? I am a lover of love stories; and, because I lived in Syria between the ages of 21 to 23, many of my early loves happened there. I have never thought of Syria as a violent place, and so it didn’t occur to me to write a story that focuses on violence. To me, love is a place of tension: in a first love, so much is at stake even in the smallest interactions, and therefore it can reveal so much. In love, words matter so much (we hang on our lover’s every word) and also so little (who cares about words? Let’s kiss!). So for that reason, because I’m interested in exploring the many sides of cultural exchange and of language, love seems like a perfect fit. Bea is an American exchange student in Syria. Is Bea you? While I don’t feel that I am Bea, it is true that I was a foreign exchange student in Syria (over the time I was there, I lived with two different families) and that one of the families I lived with also employed an Indonesian maid. From her, I learned almost everything I know about Indonesia; her love for her country gave me a love for a place that I have never been. Navigating my role in this family was difficult and left me with more questions than answers, and I think out of those questions came the seeds of A Word for Love. For someone who studies languages, Bea is often quiet, preferring others to speak for her. Did this tension between silence and language prove difficult to write about? One of the most challenging parts of writing this book was growing Bea’s voice. She’s understated in her feelings, and so figuring out how to stretch her voice to encompass what I wanted to say was not easy—that is, if you want to convey an emotion, with a narrator like Bea, that’s not always something you can do outright. So, she made revisions difficult. For a while she was so difficult that I tried writing in third person, but it lost something when I removed Bea’s voice; it was a good life lesson for me: what is difficult is often also necessary. Does The Astonishing Text really exist? Have you seen it? No, it doesn’t! At least, not in the form that it does in the book. However, the story of Qais and Leila, which the text tells, does exist—it is a famous love story in both Arabic and Farsi, and people really do know it and love it the way I grew up loving Romeo and Juliet. I first read a version of Qais and Leila in my Arabic class-reader. That is how well-known the story is—it is even taught to foreigners, and I loved it for the way it played with language from the first. Apart from that, written Arabic is well known for its beauty, and as an art-form. The idea of The Astonishing Text takes inspiration from Arabic calligraphy artists, and also from the illuminated Islamic texts of the past, which recognized that a written word can also be art. I really have seen Arabic words fit onto a grain of rice. All this—the story of Qais and Leila, and my own love of illuminated texts and calligraphy, combined with the question, what is fluency? create The Astonishing Text. Language plays such a complex role in this story. Your novel tells us that there is not one, but ninety-nine words for love in Arabic, and later, language comes to signify (to Bea at least) shifts in other people’s emotional states. What draws you to linguistic study? Language has always fascinated me, perhaps for how we reveal ourselves through it, and also for the gap between who we are in our head, and what we sound like out loud. Before I was a writer, I studied Anthropology; because of this, I have always been interested in the battles we fight through speech. Since the age of eighteen, I have learned three languages by immersion, (the last being my husband’s native Portuguese), and so as a result, I have spent many years of my adult life in various states of speechlessness, struggling with meaning, and trying to find the right words to express myself. Because learning to think in a new language takes away some of the intuitiveness of speech, it can also allow us to step back and examine what else goes on beneath a sentence; where the tension lies, both in the words and the room. Unexpected sources of tension are useful for writers. When you are learning a new language by immersion, then it really does take over your life. You are only as interesting, and you can only think and understand as deeply, as your vocabulary in this new language will allow. Learning languages gives us so much, but in the moment it can also feel very limiting. So, I suppose to write a book about a foreign exchange student, I had to include language. It marks the limits of her world. In what ways do you think the act of switching between languages—either in speech or in writing—shifts how we perceive the world around us? I think it helps us know our limits; learning other languages helped me to love my own; to value how easily I could slip back into English. Learning Arabic especially opened up my world to whole other ways of making meaning. In gaining knowledge of Arabic, I gained a new alphabet, new shapes to make on a page, new sounds. And Arabic’s grammar is so complete and so graceful. Arabic words are made up of three-letter roots; from those roots, you can make many, many words which all trace their history back to those three letters, and so are in some way related. Learning about the relationship between words in Arabic changed the way I looked at words in English. In this way, it had a profound effect on my writing. Arabic, sadly, is an unusual choice of language for many Americans to pick up. What inspired you to learn it? I had a cousin who was passionate about studying Arabic before me. I started learning it because of her. And then, very quickly, it became a language whose structure and patterns resonated with me, and which I loved. Does your translation work affect your writing? Or vice versa? I feel like in many ways A Word for Love is a work in translation. Certainly, it takes up questions of language and meaning that a translator grapples with. It includes a poem in translation. But apart from that, in many ways it is a very loose retelling of an Arabic story—Qais and Leila. Of course, re-telling and translation are often two separate arts today. However, they haven’t always been so separate. To me, many of the questions this novel deals with are a translator’s questions, including: What will Americans reading about Syria understand? When I lived in Chicago, I was an interpreter—that is, an oral translator. I have also translated poems, but those are mostly for myself (though one translation made it into A Word for Love). Reading Arabic has been a great influence on my writing. However, one of the things I love about interpreting (not literary translation, which is its own art form) is that unlike writing fiction, I don’t have to think about what to say: someone else comes up with the sentence, and I switch it to a different language. Interpreting is a break from having my own ideas. Do you read any Syrian authors? Which would you recommend? My favorite poet is Syrian—Nizar Qabbani. He wrote beautiful, beautiful love poems, which remind me a little of Pablo Neruda. Khaled Khalifa is also a wonderful contemporary voice. I also want to mention two new voices who are not Syrian, but are of the region and deserve a hearing. 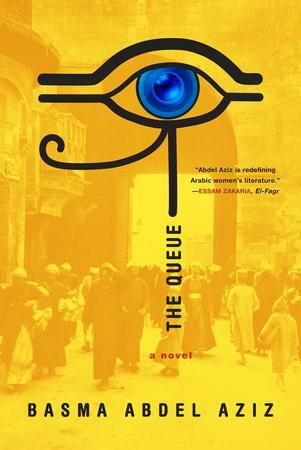 Basma Abdel Aziz’s novel, The Queue, came out in English last year, and it is one of the strangest and most incredible novels (and translations!) I’ve recently read. Abdel Aziz is Egyptian, not Syrian, but her novel takes place in an unnamed, parallel world, and its subjects—dictatorship, revolution’s aftermath, love—speak somewhat to Syria’s current situation. Also, a book called We Crossed a Bridge and It Trembled is due out in June. It is a compilation of hundreds of interviews with Syrians, conducted over the course of many years by Middle East scholar Wendy Pearlman. Wendy is a brilliant scholar, and these interviews are larger in scale than any other project on Syria I know of. Needless to say, I am eagerly awaiting it. How did your time in Syria shape you as a writer? I lived in Syria at a very formative time in my life, and I lived with brave people. They shaped much of my idea of what it is to be a good person in the world, and an adult. One of my host fathers was the first writer I ever saw at work and knew well. And so, he taught me something about how one goes about becoming a writer. He had lost his job for criticizing government policies in his writing. It was a lesson to me not only in how one writes for a living, but also in the power of words and their consequences. Living in Syria also shaped me as a writer, because it turned my attention to small details (the different ways there are of cutting vegetables, the uses of various kitchen sponges, what everyone wore) in order to fit in. Because fitting in is in the details, foreigners often become attuned to small moments of daily life. In that way, I began practicing looking at the world with the eye of a writer—one whose fictional world is also made in the details. Once I began looking at life this way, it was hard to stop. Amy is a Senior Editor at the Chicago Review of Books. Her work has appeared in The Village Voice, Literary Hub, The Awl, The Rumpus, McSweeney’s, and other places. She live in New York City.